Why 10,000 Steps and Not 14,323 Steps? Mention the words “10,000 steps” and unless you have been living under a rock for a few decades, you will instantly know they are referring to the daily walking activity level recommendation advised by major health authorities in order to achieve and maintain a healthy lifestyle. But why the number 10,000? Why not 14,323 or 7,615? Who came up with that number and where, when and how? So I donned on my investigative reporter hat in search of the answer to its origin. Back in the early 1960s in Japan a professor at the Kyushu University of Health and Welfare, Dr. Yoshiro Hatano was concerned about the rise in obesity in the Japanese population despite fitness being a part of the country’s cultural heritage. He set out to research a way to calculate the number of calories burned while exercising in order to help his countrymen become more active, thinner and healthy. Through his research Dr. Hatano found that the average person walked 3,500 to 5,000 steps a day. It would take an increase in the amount of steps to 10,000 steps a day to burn about 20% of our caloric intake which translates to about 500 extra calories a day. Just by taking those extra steps a day would mean a overall weight loss of 50 pounds in a year! The findings of Dr Yoshiro Hatano and the 1964 Tokyo Olympics brought an increased focus on the importance of daily activity for good health to the Japanese people. 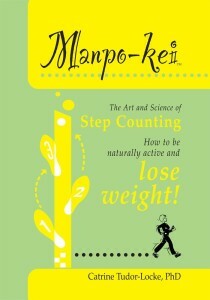 Soon after Dr. Hatano began selling a pedometer known as “Manpo-kei” (10,000 steps meter), which soon became extremely popular in Japan due to its simplicity and motivational effectiveness. The popularity of the pedometer has remained a part of Japanese life to this day. It is very typical to find at least 2 or 3 pedometers in every household with a yearly sale of over 7,000,000 pedometers. Even the Japanese government got involved setting an industrial standard regulation of 3% accuracy for pedometers sold in their country. Fast forward almost 3 decades later to North America facing the same obesity issues in adults and even children due to an increase in inactivity and fast foods consumption for Dr. Hatano’s 10,000 steps-a-day findings to finally become validated by the authoritative scientific and health communities there as a way for their own population to become more active and healthy. Today, institutions like the World Health Organization, American Heart Association and the US Centers for Disease Control among many others publicly promote the benefits of using a pedometer in conjunction with the daily goal of walking 10,000 steps not only to maintain proper weight and stay healthy but also as a way to prevent chronic diseases like diabetes and high blood pressure. How Much Exactly is 10,000 Steps? To put it in clearer perspective, 10,000 steps equals roughly about 5 miles. 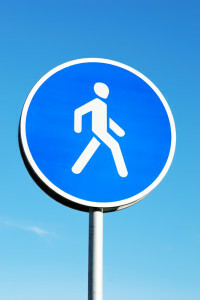 A brisk 10-minute walk equals about 1,000 steps. The average inactive person walks anywhere between 3,000 to 7,000 steps a day with the obvious exception of those who work at very active jobs like nurses or waitresses. For most people reaching 10,000 steps a day would involve adding a 30 to 60 minute walk to their daily routine. In terms of weight loss 10,000 steps a day will result in 200 to 600 calories burned depending on your weight. So an easy solution if you are having trouble losing or maintaining your weight is to increase your daily steps or lower you calorie intake. Achieving 10,000 steps a day has over the years become a rule-of-thumb goal. However, it may be considered too little when it comes to children and a little too high for older people or those suffering from chronic diseases. An individual made-to-measure goal taking into account a person’s usual daily activity step count and then increasing the amount would be deemed more beneficial. In other words, someone who logs 4000 steps a day would make it their goal to add 2000 steps more daily. Add 3000 to 4000 steps daily of 10 minutes or more of brisk walking or jogging. At least 5 days a week set a goal of 8900 to 9900 steps with at least 3000 steps of brisk walking to running for 10 minutes or more. As another option – at least 3 days a week set a goal of 9150 to 10,150 steps with at least 3250 steps of jogging or running for 10 minutes or more. For more in-depth information of the research and studies into how many steps a day are enough to meet physical activity guidelines, you can read it here.